If you are looking for a premier perimeter security company in Middleton-in-Teesdale, then look no further than Automation & Security. With a reputation for providing a quality job, they have been providing the North East with automated security systems for the last 20 years. Working with the very best manufacturers in automated security gates, Automation & Security can provide and install a product that will meet any business needs. Whether it’s industrial sliding gates, residential swing gates or cantilever electric gate systems, get in touch. It all starts with an initial site survey and they will then be able to advise the best product for your needs whether you are upgrading an existing gate system or installing new ones. 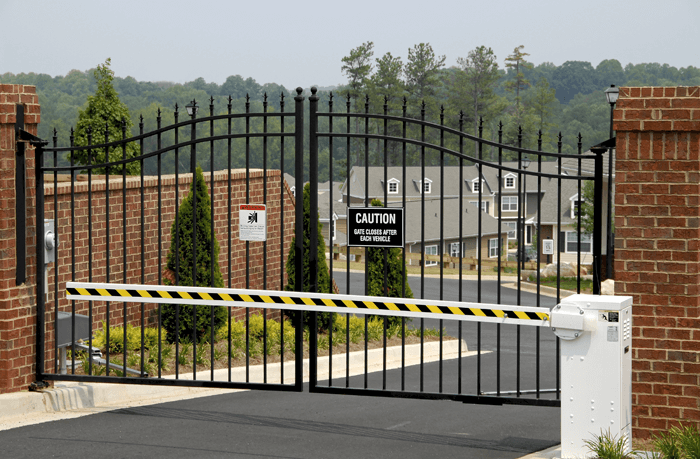 Barriers have many different advantages but perhaps the main one is managing traffic flow in and out of a property. Whether it’s manual arm barriers or automatic ones that can be accessed via a key fob, card or number pad, Automation & Security can supply, deliver, install and maintain all of their security products in Middleton-in-Teesdale. Bollards act as a great deterrent against ram raid and help separate pedestrian walkways from roads. Bollards can be designed so they are not obtrusive to the aesthetics of a property, and come in either fixed or retractable options. Automation & Security have installed a wide range of bollards to shopping precincts, golf clubs, exhibition centres and financial intuitions. PAS68 is the recognised security standard for security systems that can withstand a single horizontal impact at high speeds. With terrorism becoming a increasing threat these are becoming a popular choice for defence, financial institutions and airports. Automation & Security are proud to supply the latest in anti-terrorism security products. Whatever your business perimeter security needs, get in touch now on 0191 456 3399 or visit our contact us page.